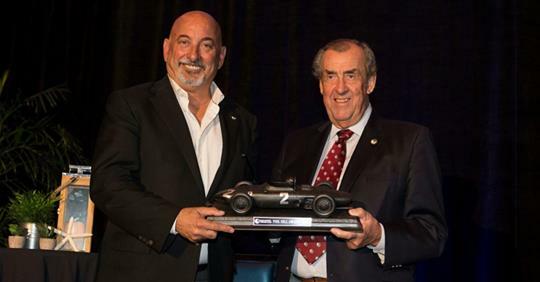 Bobby Rahal, Indy 500 winner, championship driver and team owner, businessman and President of the Road Racing Drivers Club, was honored by the RRDC with the 2019 Phil Hill Award. 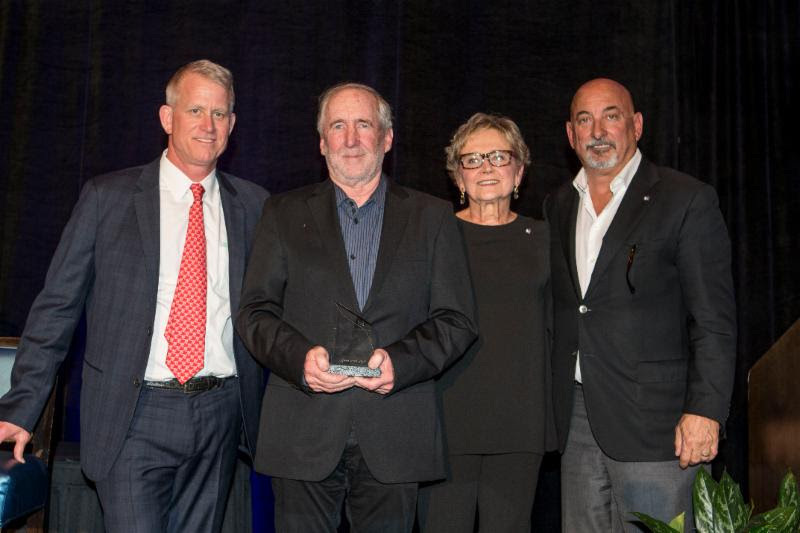 The 2018 award recipient, David Hobbs, made the presentation at the annual RRDC members’ dinner on January 23 prior to the running of the Rolex 24 At Daytona, the season opener of the 2019 IMSA WeatherTech SportsCar Championship. Robert “Bobby” Woodward Rahal was born in Medina, Ohio, in 1953, and started in SCCA’s Formula Atlantic Series and then European Formula Two. In an 18-year career spanning F1, Can-Am, Le Mans/IMSA, and CART, Rahal notched three CART championships, including the 1986 Indy 500 win, and wins at the 1981 24 Hours of Daytona and the 1987 12 Hours of Sebring. In open-wheel racing, Rahal started 264 races for five teams, scoring 18 poles and 24 wins. He collected back-to-back CART championships in 1986 and ’87, and picked up his third in 1992. When Buddy Rice won the 2004 Indy 500, Rahal became only one of a handful of individuals to win the Indy 500 as both a driver and a team owner. After retiring from driving in 1998, he joined Jaguar’s F1 effort and later became the interim boss of CART. The RLL lads: Bobby, David and Michael. Along with David Letterman and businessman Michael Lanigan, he is a principal in Rahal Letterman Lanigan Racing and has developed some of the top young talent in open-wheel racing, including Graham Rahal, Takuma Sato, Buddy Rice, Danica Patrick, and many others. He also brought Honda into North American open-wheel racing in the early ’90s; that has produced for Honda 16 driver crowns and more than 237 victories including 12 Indy 500 wins. His team won the 2010 GT team and manufacturers titles in the American Le Mans Series (ALMS) with BMW and swept the top two spots in the 2011 12 Hours of Sebring, earning the 2011 ALMS GT drivers championships for Joey Hand and Dirk Mueller. In 2012, the team earned back-to-back Sebring wins and was second in the Team Championship and third in the Manufacturer Championship. In 2013 BMW Team RLL earned two wins, seven podium finishes and four poles en route to second place in the Driver, Team and Manufacturer Championships. In 2014, the team joined the United Sports Car Championship series (USCC), later renamed the IMSA WeatherTech SportsCar Championship. Since 2014, BMW Team RLL has totaled 17 wins, 23 poles and 68 podiums and second place in the Manufacturer, Team and Driver championships in 2015 and 2017. In 2018, the team brought BMW its first victory with the all-new M8 GTE and followed up with back-to-back wins, six podiums and three poles over the two-car program. In 2018, the team also entered the world’s first production-based electric vehicle race series – the Jaguar I-PACE eTROPHY – with a two-car effort. Rahal was the driving force behind the new HMP Legends of Motorsports historic racing series that was purchased by an outside group late in 2011. Along with his leadership of Team RLL Racing, he operates Bobby Rahal Automotive Group, a string of car dealerships in Pennsylvania, is President of the RRDC, former Chairman of the International Motor Racing Research Center Governing Council at Watkins Glen and is active in the community through the Bobby Rahal Foundation. He is past Chairman of the USA Bobsled & Skeleton Foundation. “Getting the Phil Hill award last year meant a hell of a lot to me,” said Hobbs, “because obviously any award from the RRDC is very important to a racing driver. For me, as one of the older members who was around when Phil was driving it was particular poignant because he was a hero of mine. 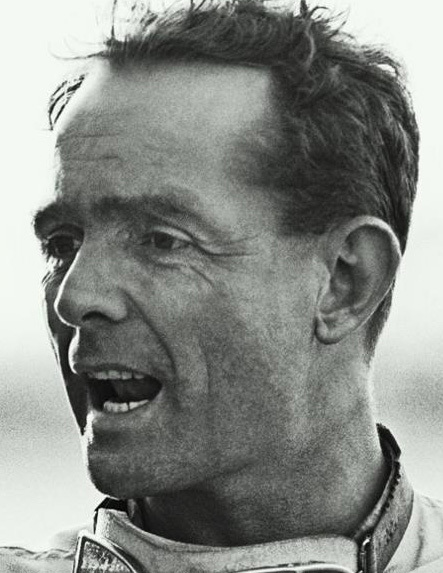 He had some incredible races in the very early ’60s when I was just starting. Hobbs “interrogated” Rahal, helping him recall important moments in his racing career. “Winning the Indy 500 changed my life personally and professionally,” said Rahal. “I don’t know of any other sporting events out there in the world that do that. Maybe the British Open in golf or Wimbledon or the U.S. Open in tennis. 1993 John Bishop; ’94 Juan Manuel Fangio II; ’95 Leo Mehl; ’96 Charlie Slater; ’97 Danny Sullivan; ’98 Rob Dyson; ’99 Bob Fergus; 2000 Elliott Forbes- Robinson; ’01 Bill France; ’02 Jim Downing; ’03 Derek Bell; ’04 Brian Redman; ’05 Jim France; ’06 Roger Werner; ’07 Skip Barber; ’08 Roger Penske; ’09 Bob Bondurant; ’10 Nick Craw; ’11 Rick Mears; ’12 George Follmer; ’13 Peter Brock; ’14 Hurley Haywood; ’15 Vic Elford; ’16 Scott Pruett; ’17 Chip Ganassi; ’18 David Hobbs. Jeff Zwart, an American commercial film director, racer, photographer, cameraman and author, was named the 2018 recipient of the RRDC Bob Akin Award, also presented at the RRDC members’ dinner at Daytona, January 23. Each recipient of this honor, considered the top award in motorsports for amateur, vintage/historic or semi-professional drivers, is selected by Akin’s son Bobby, RRDC members Brian Redman and Judy Stropus, and approved by RRDC president Bobby Rahal. The distinctive trophy was conceived by the RRDC in 2003 to honor the memory of longtime RRDC member and past president Bob Akin, who lost his life in a racing accident in 2002. It was designed by Steuben Glass in Corning, N.Y., and is given to a driver who best exemplifies the extraordinary qualities and characteristics that Akin represented, including a passion for motorsports and automobiles, a high level of sportsmanship and fair play, and who has contributed to the sport of motor racing and the community at large. The primary award, etched with the names of the recipients, is displayed at the International Motor Racing Research Center in Watkins Glen, N.Y. Each honoree receives a smaller replica. Zwart, of Corona del Mar, Calif., is an eight-time Pikes Peak International Hill Climb Champion who has won in five different classes and has competed in 16 years of this historic event. Driving primarily Porsches, he currently holds three different records on the mountain. He started racing Formula Fords on the West Coast in the early 1980s, went on to the U.S. Pro Rally Championship, was Open Class National Champion in 1990, and earned a class win at the Baja 1000 in 2004. 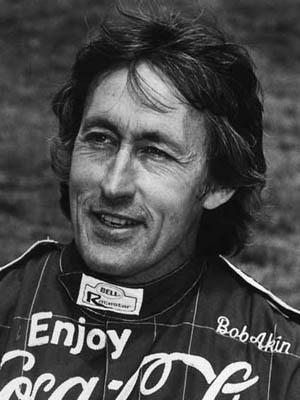 He also co-founded RACER Magazine with Paul Pfanner. 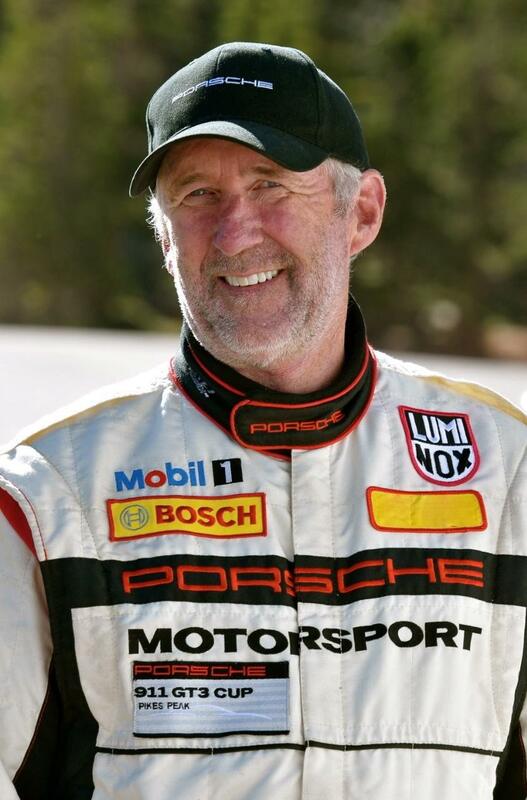 Zwart is currently running select vintage races and continuing his efforts at the Pikes Peak Hill Climb. He was presented the Bob Akin Award by Bobby Akin, Stropus and Rahal. “Jeff Zwart started his racing like many in this room, in a Formula Ford,” said Akin. “He has competed here at Daytona and other classic road racing locations. However, Jeff tended to be most successful when there was a little dirt involved. After his first rally he was hooked. Then the mythic Pikes Peak got his attention and over the years he has amassed eight class wins at this legendary event. He also had a class win at the Baja 1000 and second overall in the Trans-Siberia Rally. No easy task. 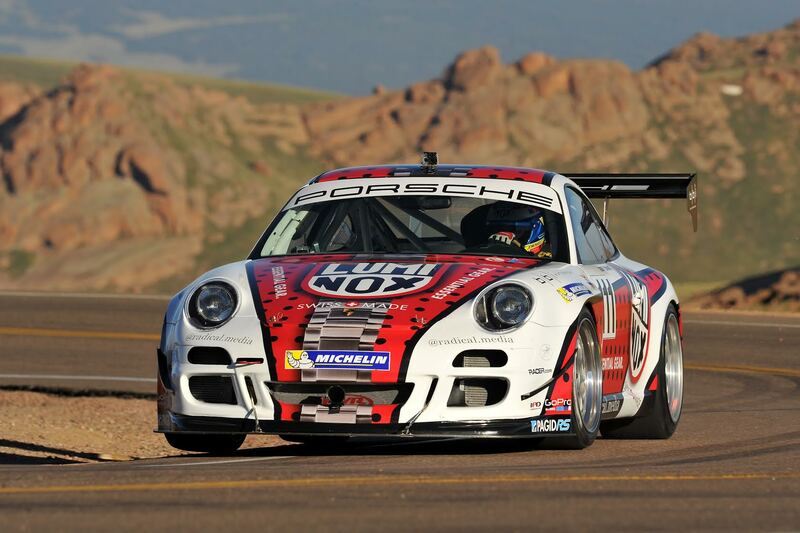 Zwart’s Porsche pummels Pikes’ Peak. “He is an avid historic car collector and driver,” Akin added. “His collection includes a Gmund Porsche 914-6, several important 911s, but, maybe, my favorite is his 906, because he has been known to drive it from L.A. to Laguna Seca, race it, and drive it home again. No trailers required. Cars are meant to be driven – a trait he shares with my father. “The other qualities an award winner needs to have is to be successful in his non-racing business and be a good person. Our winner has both covered. 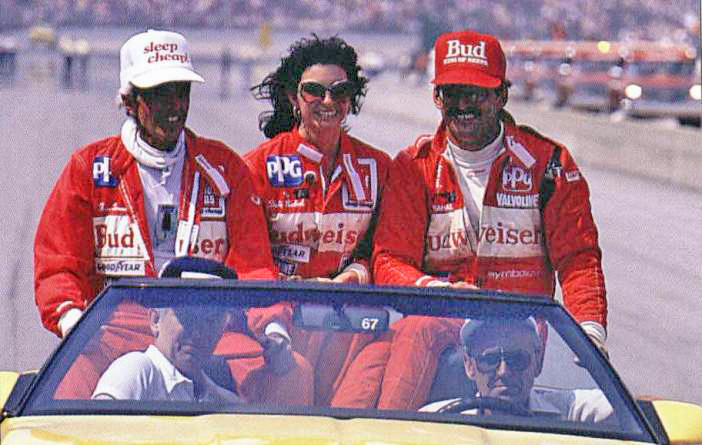 (l-r) Bobby Akin, Jeff Zwart, Judy Stropus and Bobby Rahal. [Brian Cleary image]. As it turned out, Zwart earned that opportunity. “It was something that was really special in the early ’80s when Road & Track came to me and asked me to do a story on LeMans,” he said. “The tricky part was I was going to travel to LeMans with a team owner and a driver and he was going to write the article and I was going to photograph it. And that person was Bob Akin. Zwart had only brought two cameras and one was in the car, which had stopped on the Mulsanne Straight. In his attempt to retrieve the camera he hiked for an hour until he found the car, convinced the French organizers that he needed to get to the car, and collected it. “The whole experience was so special to me, and the fact that Bob had trusted me to put a camera inside his car, he really did pull back the curtain and I ended up going another year with him for Road & Track. We really had a good time and I loved the fact that I was getting to see a view that I only dreamed of as a kid in the movie theater with my family. 2003 Sam Posey; ’04 Charlie Gibson; ’05 John Fitch; ’06 Jim Haynes; ’07 Cameron Argetsinger; ’08 Jim Downing; ’09 Steven J. Earle; ’10 Augie Pabst; ’11 Don Knowles; ’12 Miles Collier; ’13 Peter Sachs; ’14 Bill Warner; ’15 Judy Stropus; ’16 Murray Smith; ’17 Archie Urciuoli.